From 1913 to 1991, the present-day home of the Zurich Tonhalle Orchestra and lofty Prime Tower was a major centre for the production of gears, pumps and machine tools. 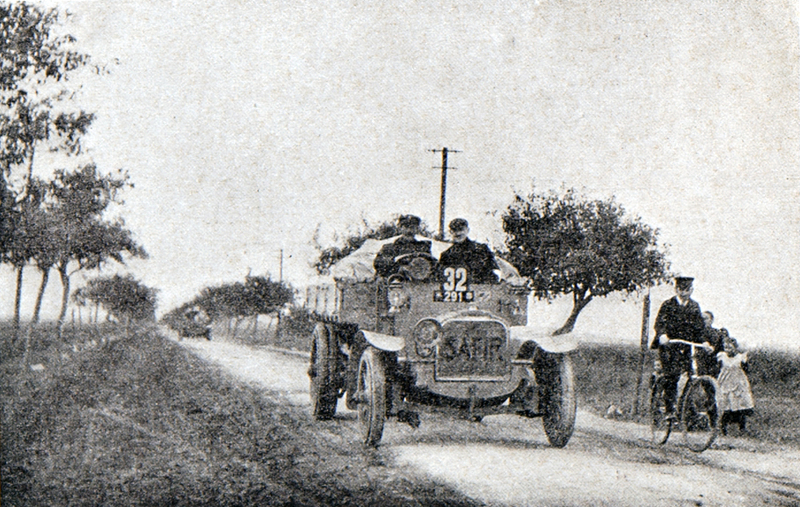 And from 1907 to 1910 was the birthplace of a few dozen SAFIR brand automobiles. In West Zurich the names Maag-Areal and Tonhalle Maag are a reminder of the area’s industrial history. The SAFIR automobile factory has been forgotten. A few exceptionally well-designed advertising prints in the Swiss National Museum’s collection of prints and drawings are evidence of its existence. At night, a naked woman with flaming hair bathed in glaring light drives a motor vehicle out of a curve right past the viewer and into the darkness. A golem-like giant crouches on the dark back seat and gives the vehicle a powerful boost. The automobile brand in the headlights: SAFIR. The sharp s-shaped curve suggests the first letter of the company’s name. You can almost hear the image. This is more than visual communication. It’s visual acoustics. 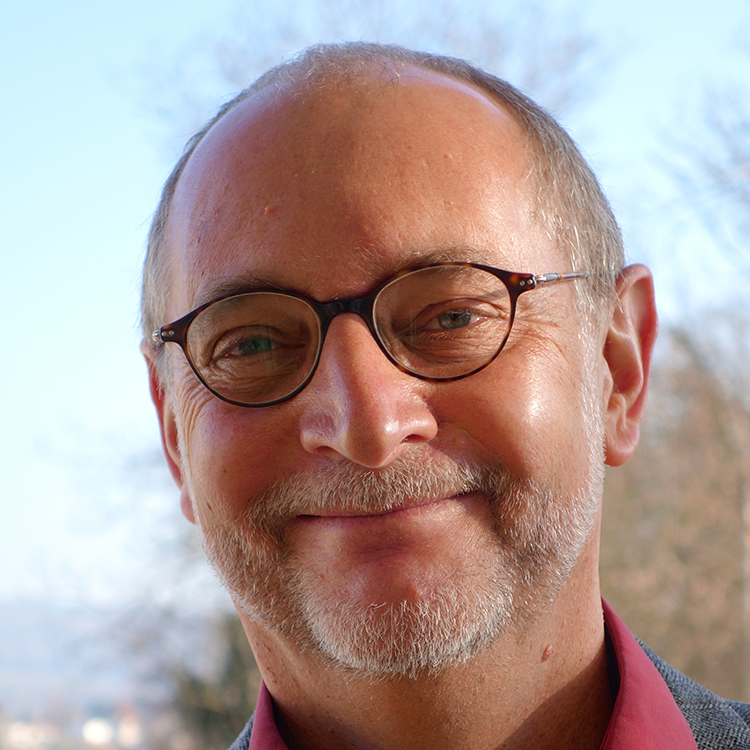 A great master among the young Swiss advertising artists is at work here: Burkhard Mangold. On behalf of Johann Edwin Wolfensberger, the innovative Zurich printing company, Mangold designed an advertising campaign for the Zurich automobile factory SAFIR that included small-sized poster stamps, promotional cards, brochures and posters in the new F4 world format. It was not only the dynamic and onomatopoeic design that was innovative in 1908, but also the advertised product itself. The question of whether the road should be opened to automobiles was a popular subject of debate at the time. 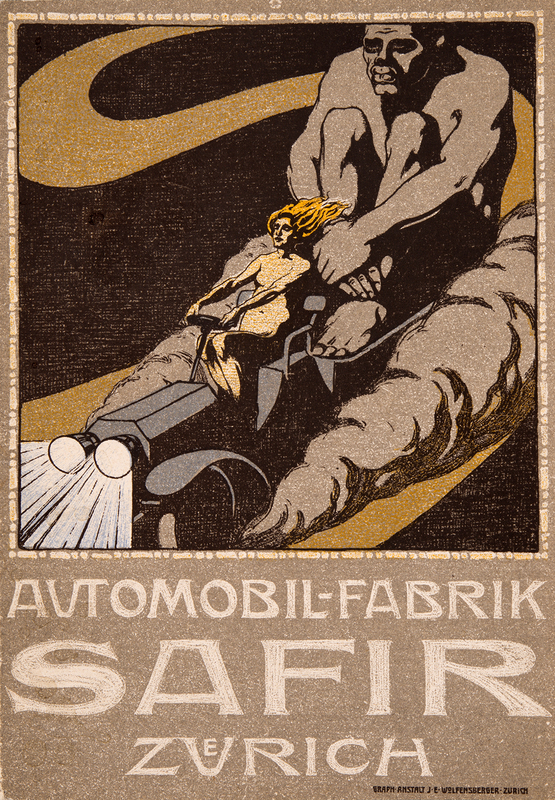 The SAFIR automobile factory was founded by Anton Dufour and Jakob Schmidheiny of St. Gallen in 1906 in Rheineck and was moved to Zurich in 1907. It produced a few dozen motor vehicles by 1910. In 1913 Max Maag, mechanical engineer and founder of Max Maag Zahnradfabrik (Gear Factory), later Maag-Zahnräder AG, took over the automobile factory facilities that had been liquidated in 1910. The company name SAFIR stands for Swiss Automobile Factory in Rheineck. Anton Dufour was a Swiss technological pioneer – much like Jakob Schmidheiny, the later Chairman of Maschinenfabrik Escher Wyss AG – and was the first person to drive an automobile in the Canton of St. Gallen. And: At SAFIR, Rudolf Diesel, the inventor and namesake of the diesel engine, developed the first high-speed self-igniting vehicle in 1908, thus making a decisive contribution to commercial vehicle propulsion systems.